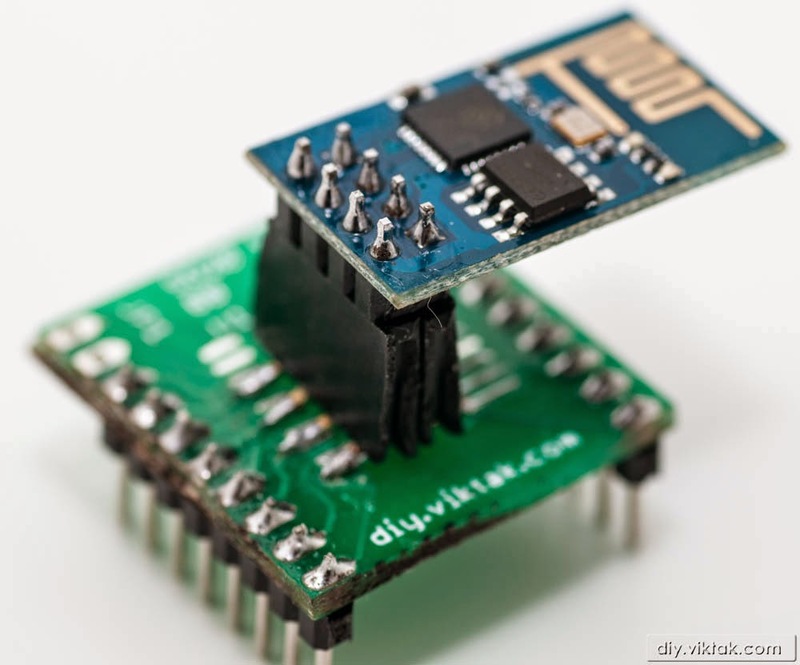 The latest "craze" among embedded electronics engineers is the tiny chip called ESP8266. It's a low cost, low power, high performance chip allowing wireless connectivity with your wifi network. In the following I would like to share my experiences setting up such a module for the first time. 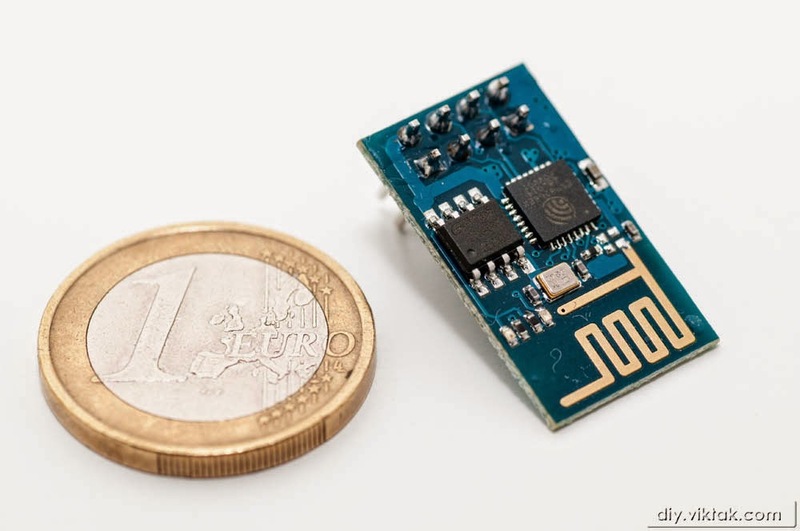 The module is barely larger than a 1 euro coin. I ordered a module off eBay which is called the 01 version, which has a 2*4 connector (not breadboard friendly...) and a wifi antenna printed on the PCB. My thinking was that this version probably doesn't have much power, but it's the cheapest option and all the components (especially the antenna) are integrated on the tiny PCB, so it would be ideal for experiments. As I did not want the module to be floating freely in the air/on my desk, I needed a way to adapt it to a breadboard. I remembered I had a few SOIC-DIP adapter PCBs left over, so I decided to use one of them for this purpose. This ESP8266-breadboard adapter is made out of an unused SOIC-DIP adapter I had made earlier. The ESP8266 module fits nicely on the adapter. My test rig fully assembled. The separate 3.3V DC power supply is needed because the module can draw up to 400mA current. In Putty I selected only the COM port I was using, and left all the other settings on their default. 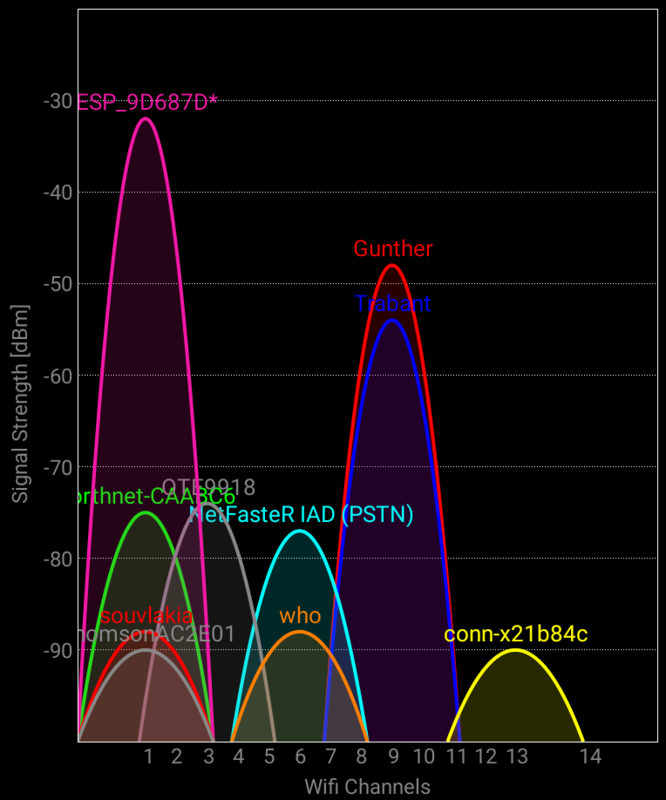 The SSID ESP_XXXXXX is the device's default SSID. Great, everything seems to be working! Finally, I posted this problem on the ESP8266 community forum, where, in a few minutes, I got a reply suggesting my firmware is not the right (AT) firmware. So I went out hunting for a new firmware. I found one at this location. It contains all the files needed for the update (latest firmware, firmware downloader tool), which was lucky, since I had never seen a firmware for the ESP8266 and had no idea how to update it. 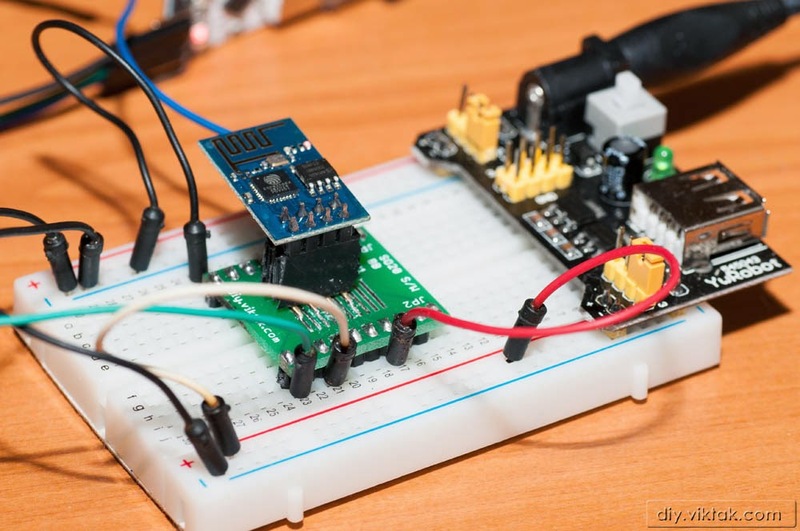 Power down the ESP8266 module. Power on the ESP8266 module. Unzip the the content of the ZIP file you downloaded from the location above. Close Putty and/or any other application that is using the COM port the ESP8266 is plugged in, so that nothing interferes with the COM port during the firmware update. 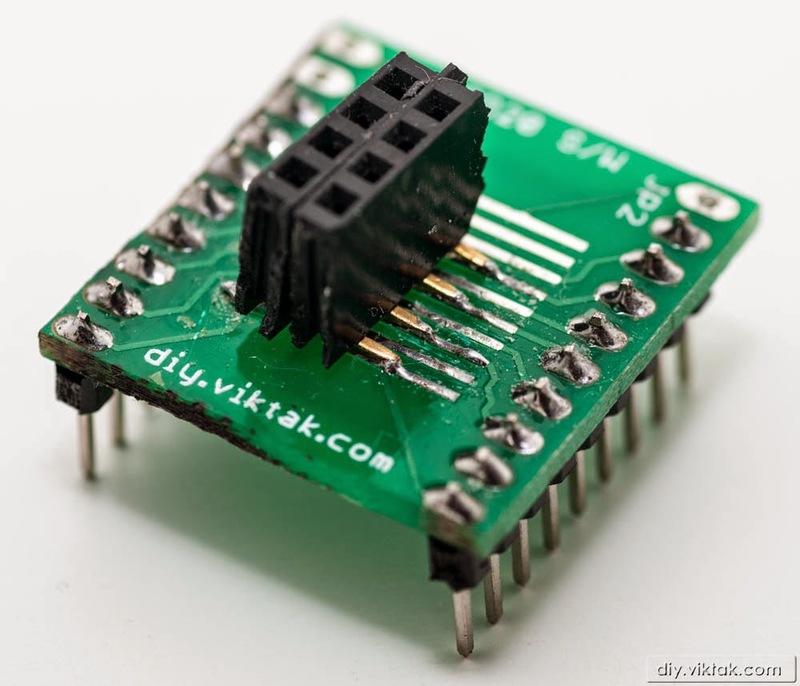 Enter the COM port your ESP8266 is connected to. In my case it was COM3. Once everything is filled as needed, click Download. The same error happens if there is another program using the same COM port. After about one minute, the update is done. Ready, the ESP8266 is now upgraded to the new firmware. It's time to test if it solved the problems I had earlier. Only the COM port and speed needs adjusting. All the AT commands I tried at this stage worked perfectly. So I did the ultimate test of the module: set it up as a wifi station (as opposed to access point, which it is by default), connect to my home wifi and access it (ping) from my main PC. It should just say OK, if there was no issue while connecting. AT+CWJAP? - reports the access point's name (SSID) the ESP8266 is connected to. I marked my new ESP8266 module with red. ...include sending and receiving data to and from this module, and doing all kinds of cool stuff with it, but it will happen in a new article. Come back soon!